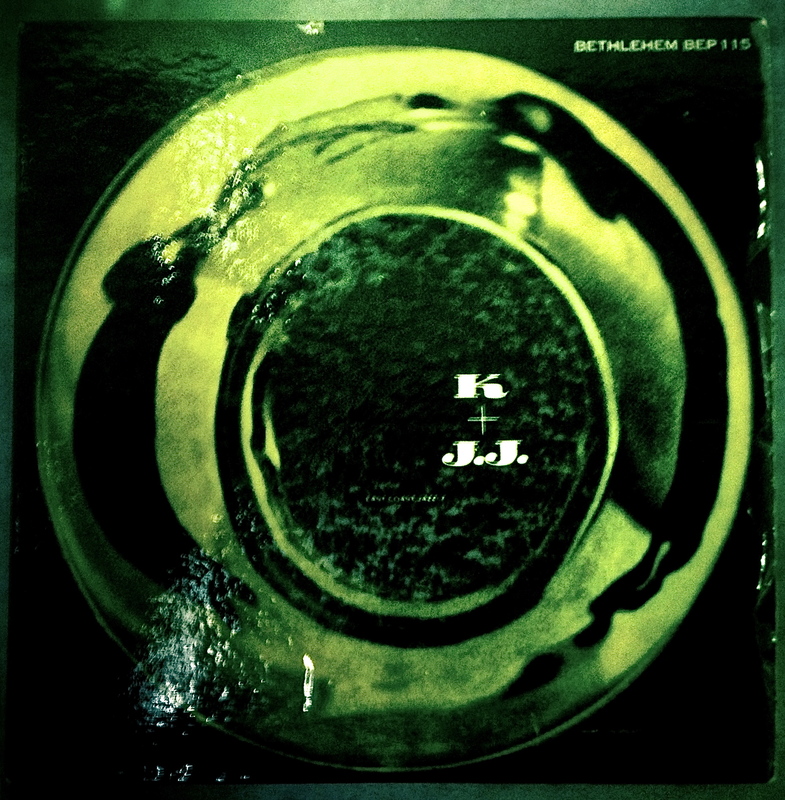 45: “Thou Swell”/”Mad About the Boy” b/w “Gong Rock”/”Lope City” by Kai Winding and J.J. Johnson. 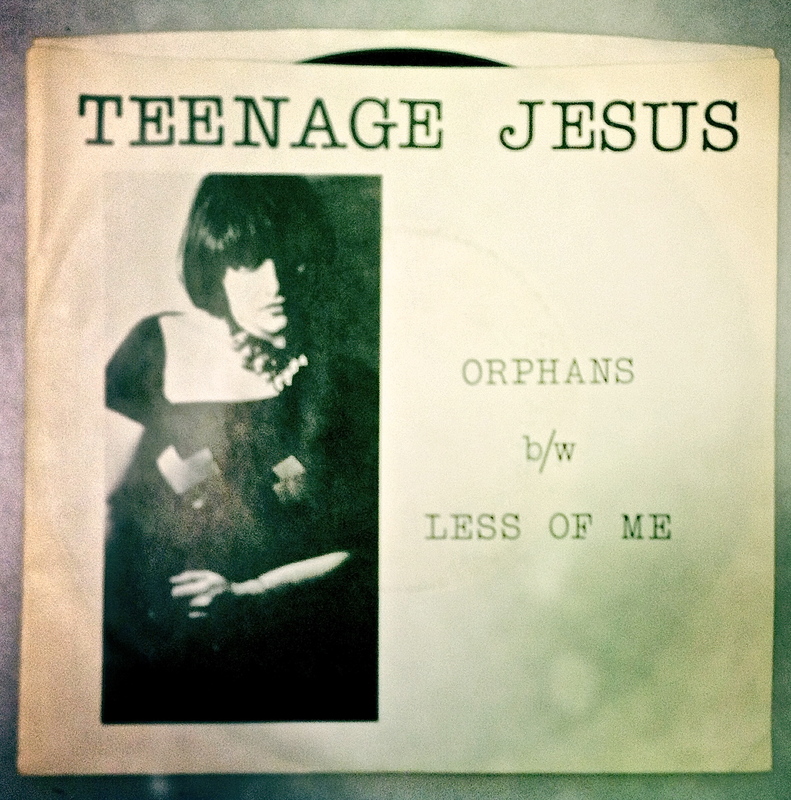 Bethlehem Records. BEP-115. Recorded January 26th + 27th, 1955, in New York City. Kai Winding was born in Aarhus Denmark in 1922. His family came to the United States when he was 12 years old and settled in New York City, where Kai attended Stuyvesant High School. He started playing trombone professionally as soon as he’d finished school but had to put it on hold to do his duty in the Coast Guard. After the war, Kai played with first Benny Goodman’s and then Stan Kenton’s orchestras. Clearly, he also knew how to play big band music. Both trombonists were tapped to play on the sessions that would become Miles Davis’s Birth of the Cool. The album was recorded over the course of three sessions in 1949 and 1950, and employed a nonet. A nine member band was clearly more ambitious than the quartets that typified bebop, but this was an ambitious group, sprung from the musical discussions at salons hosted by Gil Evans. Those discussions would eventually lead to the creation of cool jazz, a sound that would come to be more associated with West Coast artists like Chet Baker. Kai played on the four songs from the first session—here he is with “Godchild.” Note the tasteful solo at the 2:35 mark. 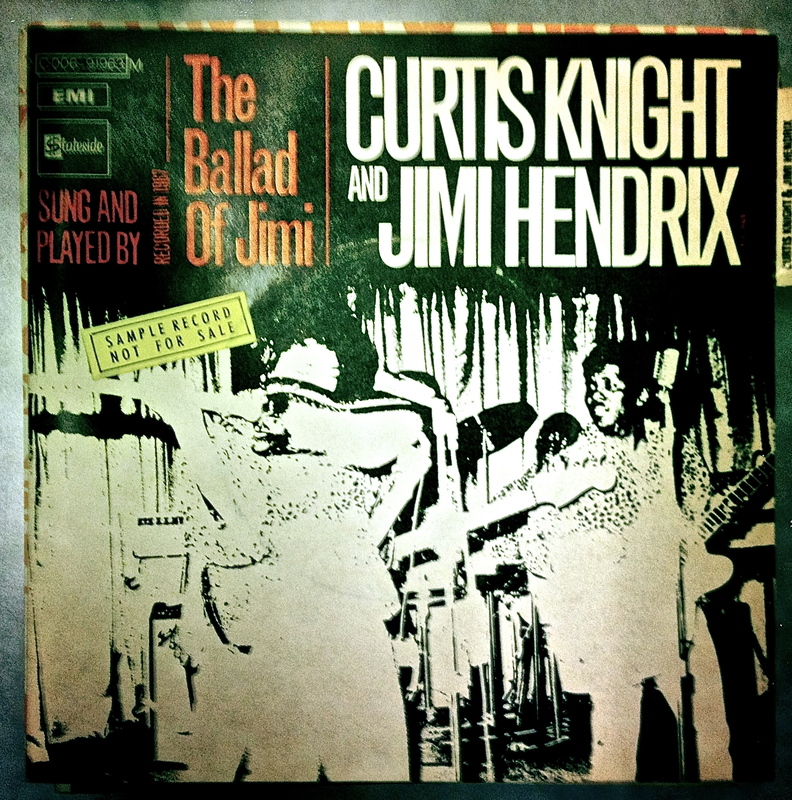 45: “The Ballad of Jimi” b/w “Gloomy Monday” by Curtis Knight and Jimi Hendrix. EMI/Stateside C006-91963. Recorded 8/8/67 and 1970 in New York City. A little more sophisticated than the typical Top 40 number, what with the additions of the glockenspiel and the gong. Things got interesting for Knight by the end of 1964, when he saw a young guitarist playing in Greenwich Village and was blown away. He’ was young, but had already toured with the likes of Wilson Picket and Little Richard. Here he is backing up Buddy and Stacey, who had opened for Little Richard on that particular tour. 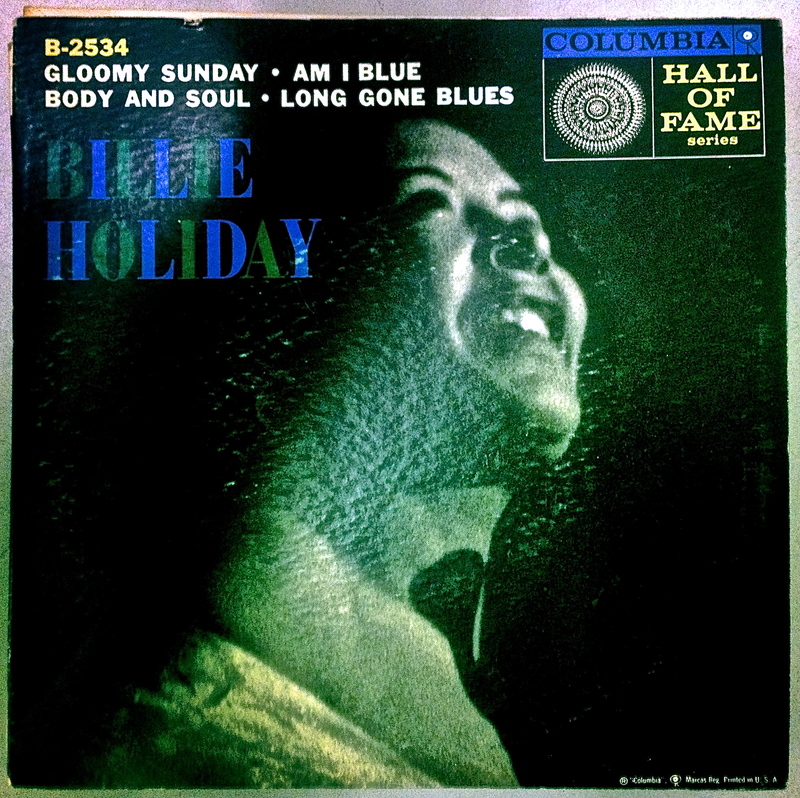 45: “Gloomy Sunday,” “Am I Blue” b/w “Body and Soul,” “Long Gone Blues” by Billie Holiday and her Orchestra. Columbia B-2534. 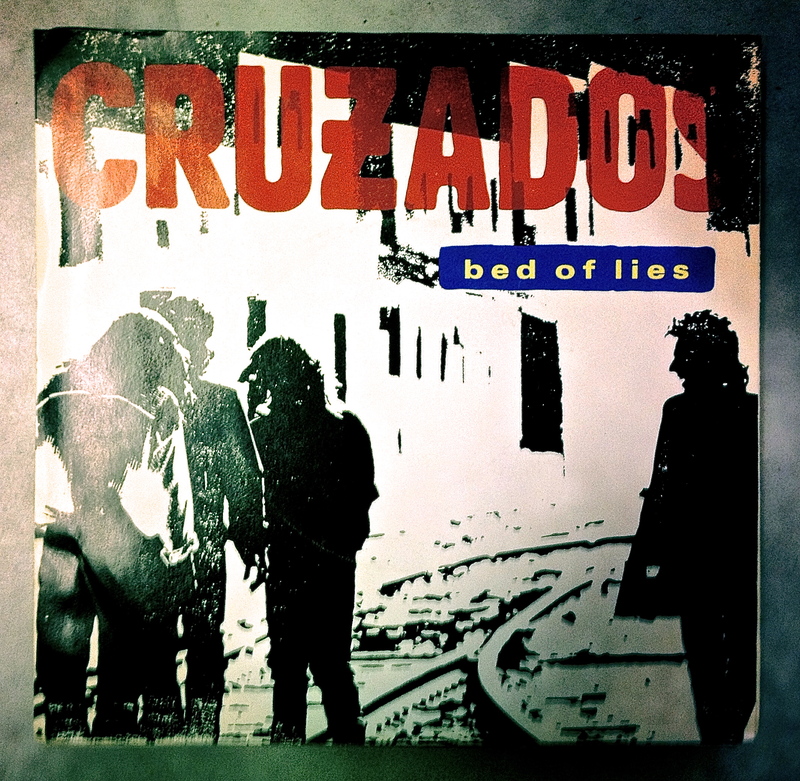 Recorded 08/07/41, 05/09/41, 02/29/40, and 03/21/39 in New York City. When I find a 45 from an obscure Dutch progressive rock band, it isn’t that difficult to pick five or six songs that give a good sense of that band’s career arc. For other artists, that simply can’t be done—their influence is too strong, their lives too compelling, or their catalog simply runs too deep to attempt such an abbreviated presentation of their work. All of those conditions are met by Billie Holiday. So I’m going to include the songs on this 45 EP, and a couple of others of note, but as any fan of Billie’s will tell you, I’ll only be scratching the surface. A little background. Billie was born Eleanora Fagan, in 1915, and raised by distant relatives in Philadelphia while her mother worked as a server on passenger trains. Her absent father was most likely Clarence Holiday, a musician who played with Fletcher Henderson’s band—Billie and Clarence would reconnect later in her life. She was in reform school for truancy at the age of 10, raped by a neighbor at the age of 11, and, after moving with her mother to Harlem, forced to join her as a prostitute at the age of 14. A childhood spent listening to Louis Armstrong and King Oliver gave her the confidence to develop a singing style that allowed for non-traditional phrasing and intonation, as if her voice was a cornet. She recorded songs for 26 years and sold out Carnegie Hall multiple times, but was hampered by addiction, racism and bad management. Her rendition of “Strange Fruit” is a stark cry against lynching and was one of the very first popular protest songs. She died in New York City in 1959 of cirrhosis of the liver, with police guarding her room in hopes of trying her for narcotics possession if she got better. She was an early example of the romantic doomed-addict-musician-whose-light-burned-too-bright-to-last notion, an idea which, ultimately, gets in the way of appreciating exactly how good she was as a singer and how painful her life must have actually been. Here’s her very first single, “Your Mother’s Son-in-Law.” It was recorded with Benny Goodman and his orchestra for Columbia on November 27, 1933. Note how she had yet to settle into the higher register that would later become her trademark. 45: Moods, Vol. 5. “Lullaby In Rhythm,” “There’ll Never Be Another You” b/w “All the Things You Are,” “Moonlight In Vermont” by Marian McPartland. Savoy XP 8108. 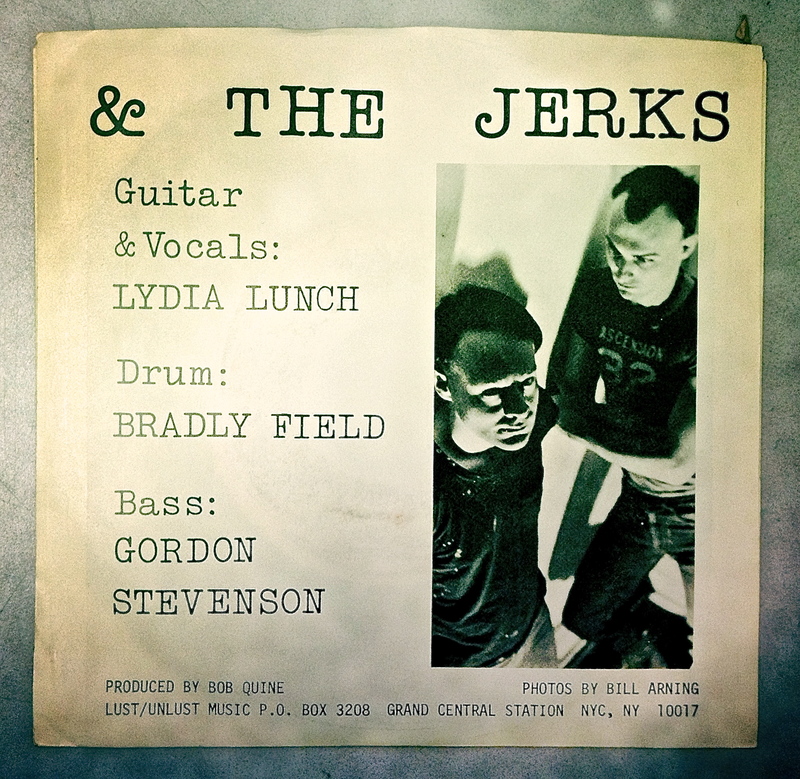 Recorded in New York City, 12/22/52 (Side B) and 4/27/53 (Side A). Born in a small town in Southeastern England in 1918, Marian McPartland started playing piano at the age of three. She was encouraged to learn the violin at the age of eight—perhaps because her parents weren’t thrilled about her love of Jazz and they hadn’t heard of jazz violinist Joe Venuti—but she continued to spend all of her free time at the keys. Marian studied classical music at the Guildhall School of Music and Drama, but quit in 1938 to join a four piano vaudeville act run by Billy Mayerl. The piano quartet was a hit and continued to perform over the course of the war, entertaining both British and American troops, courtesy of the USO. She met her husband, cornetist Jimmy McPartland, in a show in Belgium in 1944. They were soon wed, and moved to Jimmy’s native Chicago. Marion continued to play, and the couple’s move to New York City in 1949 would soon prove to be a good career choice. Jimmy encouraged Marian to form her own trio, which played at clubs like The Embers and Hickory House. A recording contract with Savoy Records came in 1951. 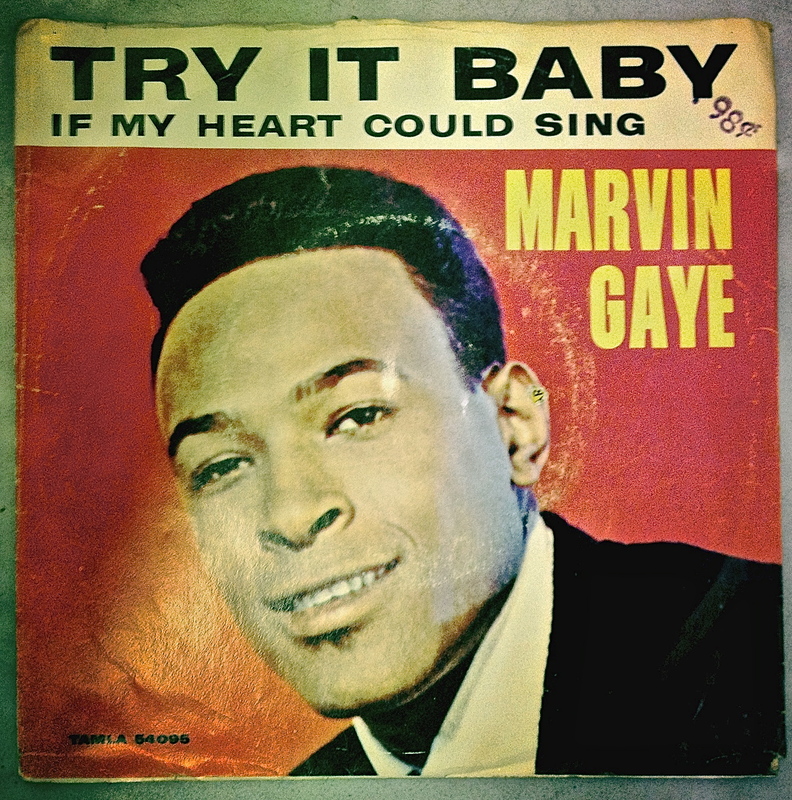 45: “Try It Baby” b/w “If My Heart Could Sing” by Marvin Gaye. Tamla 54095. 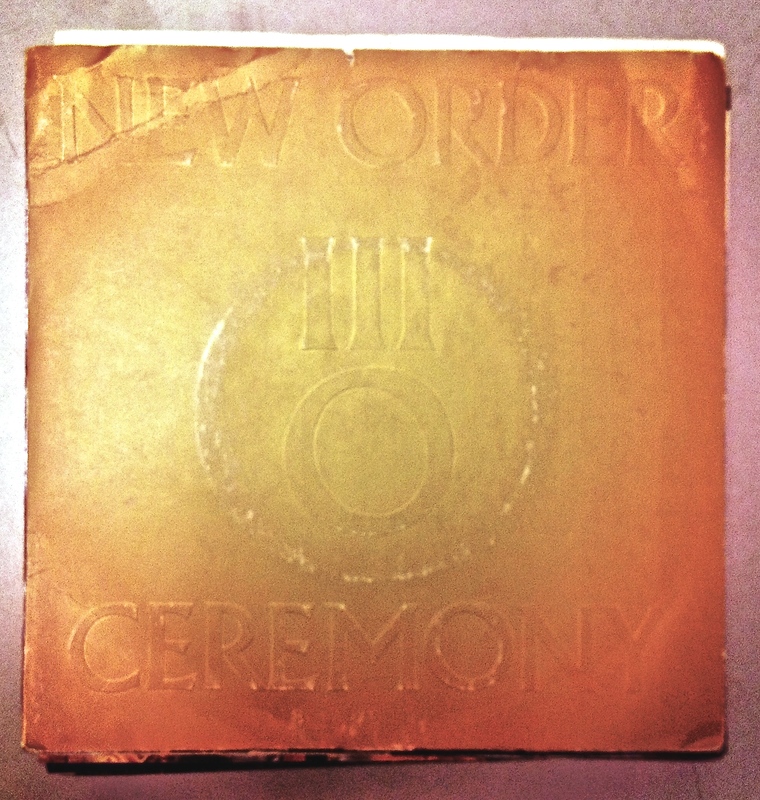 Recorded in Detroit, May 21,1964. 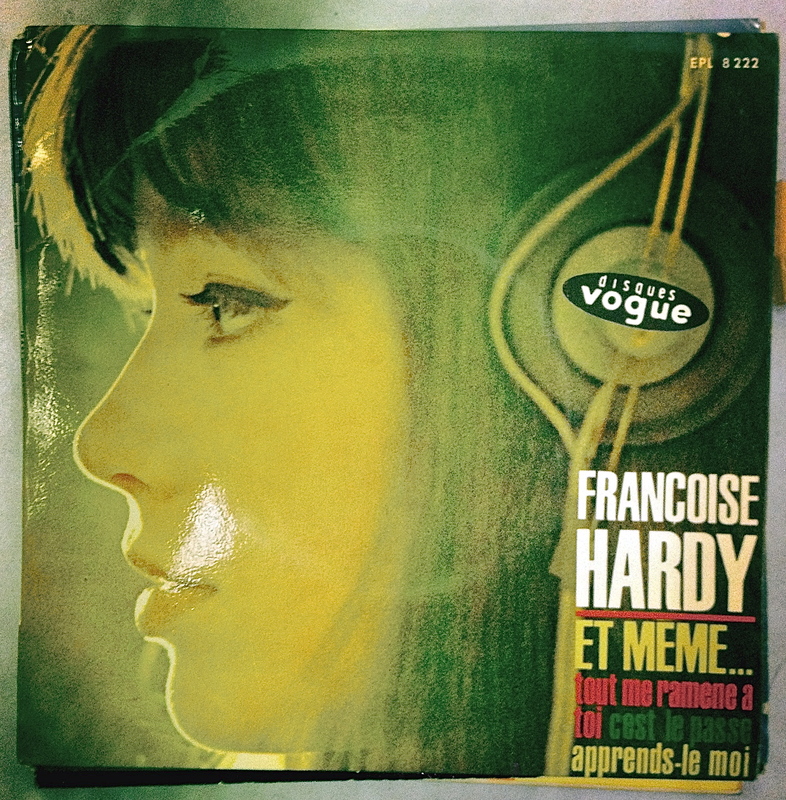 45: “Et même”/” Tout Me Ramène à Toi” b/w “C’est la Passé”/” Apprends-le Moi” by Francoise Hardy. Vogue EPL-8222. Recorded in Paris, 1964. Françoise Hardy was born in 1944 and grew up in the 9th arrondissment of Paris. Her parents divorced when she was very young, and her father spent little time with Françoise and her younger sister, Michèle. Still, he did play a critical part in her career: Françoise was given a guitar as a gift both for her birthday and for passing the baccalaurèat, the French equivalent of graduating from high school. 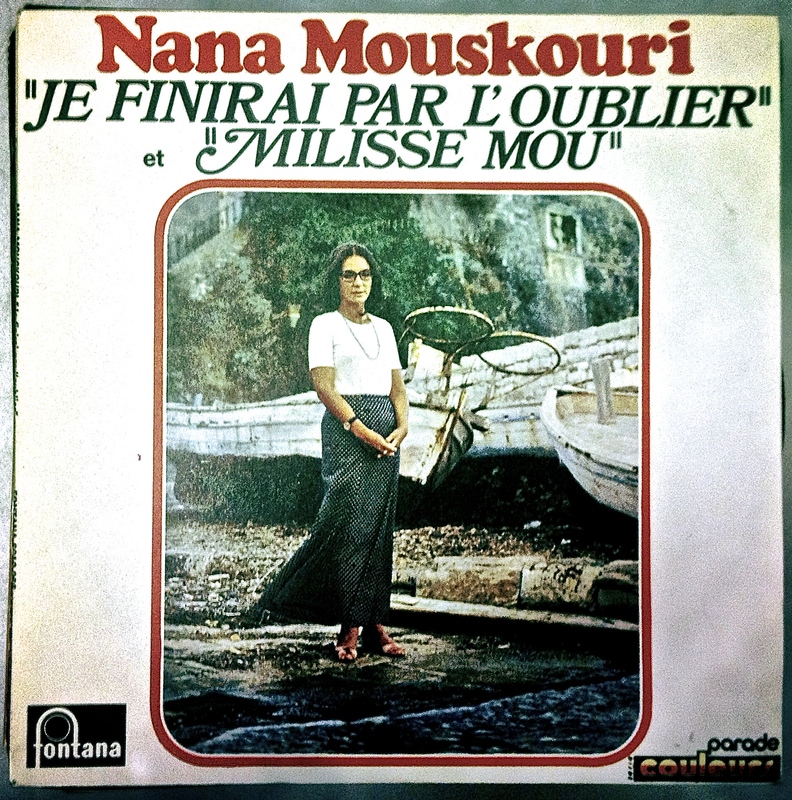 She’d been raised on a musical diet of both French (Charles Trenet, Cora Voiucaire) and Anglophone (Cliff Richard, Connie Francis) singers and wanted to try her hand at writing songs of her own. The disc I found in the archive is from 1964, and at this point in her career, Hardy was really hitting her stride. Mickey Baker’s arrangements are bigger, fuller, almost like something Phil Spector would have put together. “Et même” is a great example of this, right down to the handclaps.